The Hunt – The Small Things. 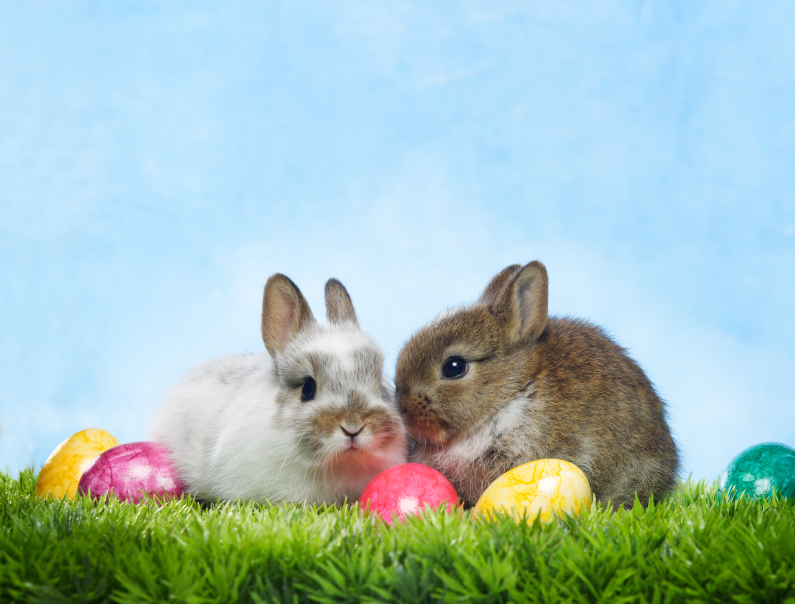 As with most holidays, Easter traditions are different for different families and different people. For my family it is all about The Hunt. 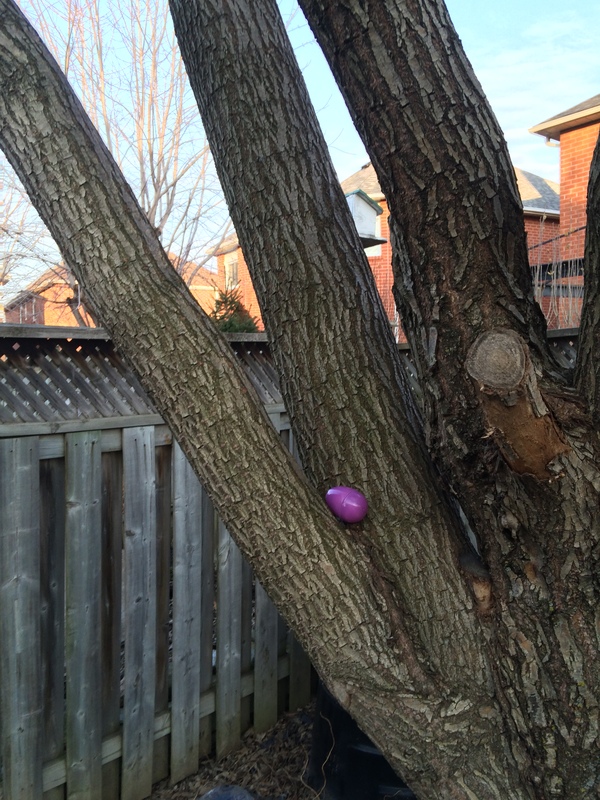 The Easter Egg Hunt, that is! When Lucas was a kid the hunt was bunch of foil eggs and mini eggs hidden around the house for the kids to find. The only rule was that everyone had to stay in the same room at the same time. My egg hunt does not look like that. It is much more complex. Here is how it works. The Easter bunny leaves each person a basket with a single coloured, plastic egg. Inside that egg is chocolate and a clue. The clue leads you to the next egg and so on and so forth. You follow the clues until the hunt ends with a small gift. Usually socks or a t-shirt, or gift cards. My mum has been setting up this elaborate hunt for me and my siblings since before I could read. In the beginning she would draw pictures clues, like a bed or a tv. 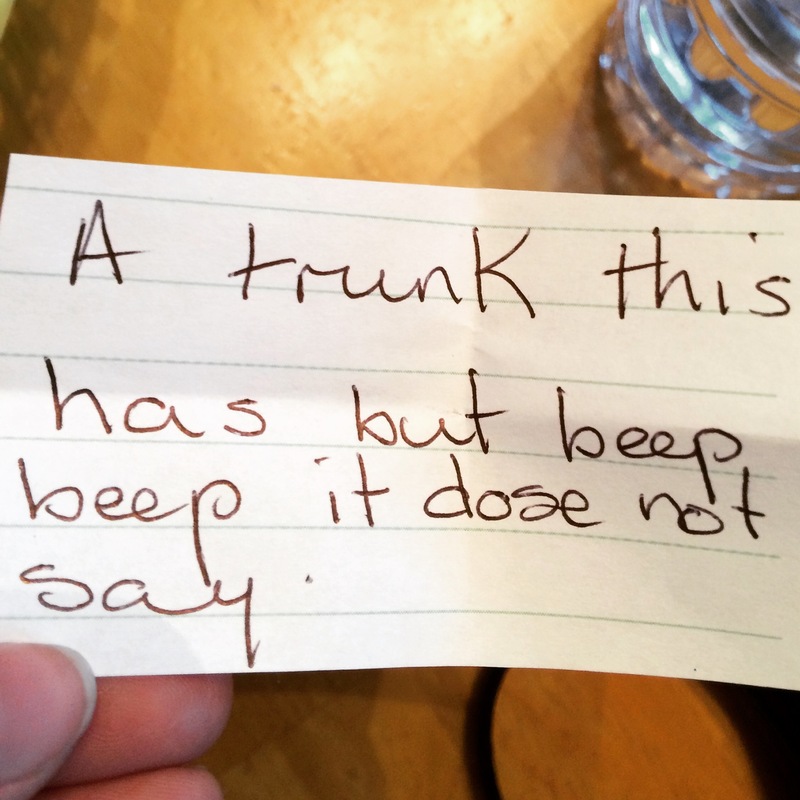 Now here I am in my twenties and she is still leaving us clues. This year she even prepared a hunt for Lucas and we don’t even live there! She is so fantastic. I didn’t realize it as a kid but the effort she puts into holidays like this really proves just how amazing, dedicated and loving my mother is. Yes, yes there is a spelling mistake… move on. A Tree! A Tree has a trunk! I bet you all knew the answer straight away. Lets say that the adrenaline was clouding my brain. 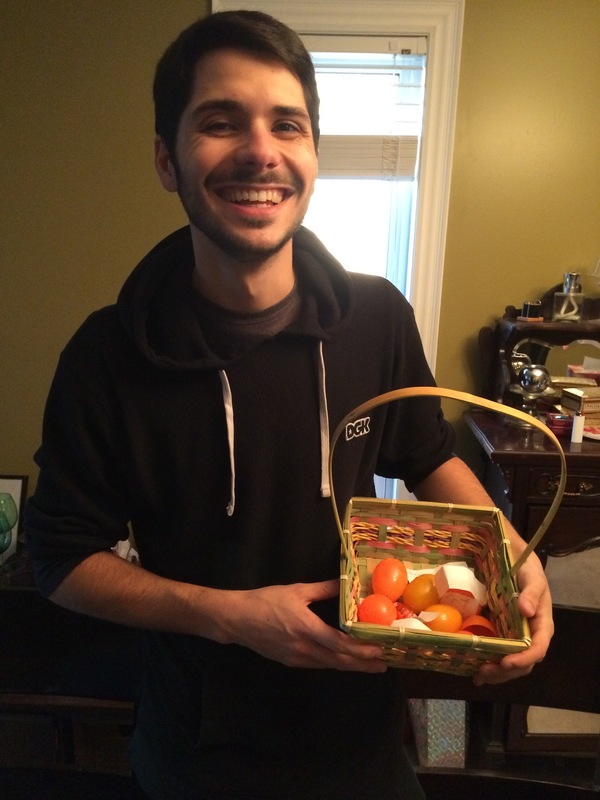 Anyway, Lucas and I had a blast tearing through the house looking for eggs! This is a family tradition that I hope will always be a part of my family. 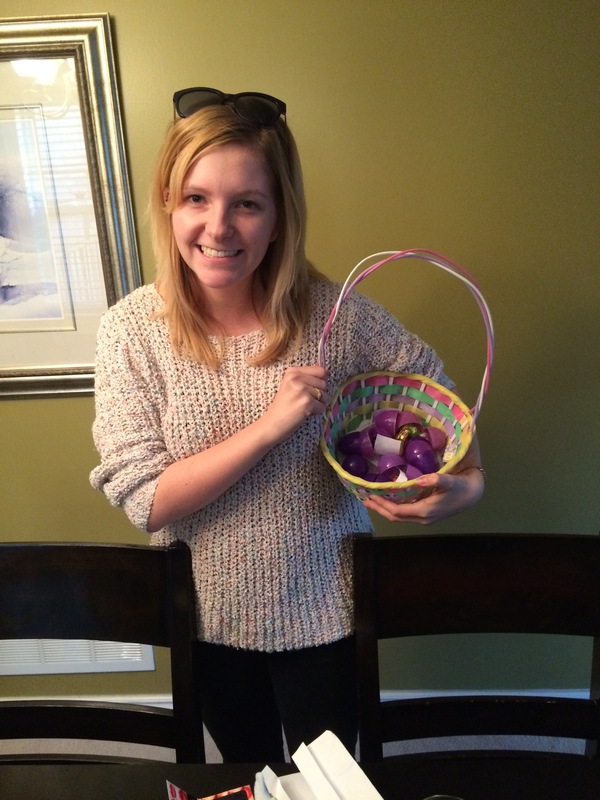 What are your Easter Traditions?! Share in the comments!